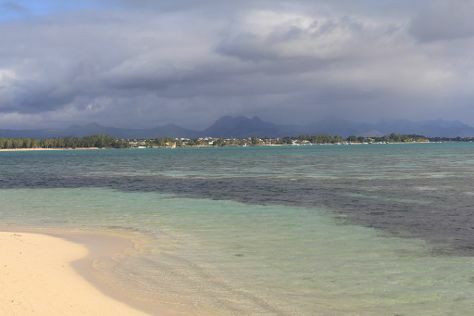 Gently sloping sand meets the clear ocean along the coastline of the sleepy town of Mont Choisy. Make time on your Mont Choisy vacation for relaxing and rejuvenating under the sun's rays. The turquoise water of the lagoon stretches out as far as the eye can see, and is interrupted only by sailing and fishing boats anchored near the shore. Luxurious resorts and private beachfront villas line the coastline, surrounded by colorful tropical flowers. Mont Choisy is in Pamplemousses District. Our Mauritius trip maker app allows you to plan your trip to Mont Choisy and a wealth of other destinations big and small.